As much as we wish otherwise, painting over cracks and holes won’t make them disappear. It might just make them more noticeable instead. It’s important to fix these imperfections before you start painting, but before you go crazy with the filler, here are a few simple tips for flawless results. Trust us. Widen the crack first gently with a utility or putty knife and remove any loose material. Create a trench that is deeper and slightly larger than the crack. For long cracks, remove the plaster or sheet rock material at intervals to help the filler hold. For small holes, use a utility or putty knife to dig out the hole and make the inside of the hole bigger than the outside. This will provide space for the filler to fill and prevent it from falling back out. After this step, you’ll want to brush or vacuum the area to remove dust and debris. Wipe the area clean with a damp cloth before reaching for the filler. Now you’re ready to get spacklin’. 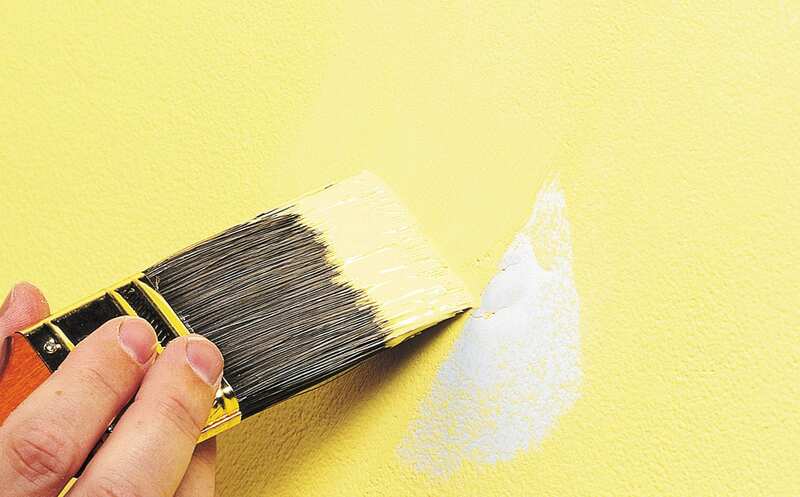 For smaller areas, use a small, flexible putty knife to apply the spackle or joint compound. Use a bigger knife for bigger areas. For the smoothest finish, spread multiple thin layers of filler rather than one thick one. Add as many layers as necessary, making sure that each layer is dry before adding another. After the layers of filler are completely dry, lightly sand as needed with fine-grade sandpaper to smooth and blend the repair work into the wall. Before painting, be sure to wipe any dust from the wall with a clean cotton cloth. You’ll then need to prime the repaired areas to help seal the filler and keep it from absorbing paint. For best results, whatever the product, be sure to carefully read and follow all instructions provided by the manufacturer. If you notice a row of nailheads bulging through in certain areas, don’t be discouraged. Simply use a hammer to bury protruding gyproc nails back where they belong. The indentation left by the hammer head can be easily filled. When in doubt, chat with your local Paint Shop team for best results.